Tombo is one of the leaders in markers, their brush markers are perfect for coloring in your stamped images but also to use to color on coloring pages. 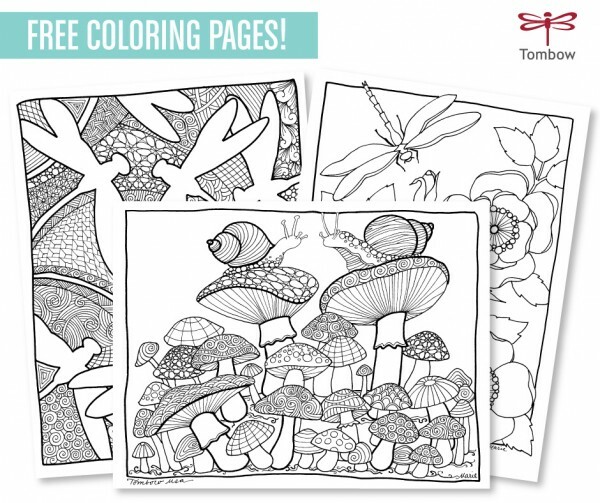 Tombo is sharing FOUR stunning nature inspired coloring pages for free along with a video tutorial on how to use a water brush with their brush makers for an easy watercolor look. Click here to download the pages and watch the video. Thank you so much! I love when you share coloring pages. Thanks for sharing the wonderful coloring pages.Hapy New Year! !